Parson's Lodge01263 715779work01603 870304fax Self-cateringParson's Lodge is a handsome Grade II listed building which has been tastefully restored to a high quality. Retaining the majority of it's charming Georgian features it has a large living area, vaulted ceilings and access to beautiful landscaped gardens. Within easy reach of many attractive locations in Norfolk and Suffolk this property has everything needed for a delightful holiday. Parson's Lodge is a handsome Grade II listed building which has been tastefully restored to a high quality. Retaining the majority of it's charming Georgian features it has a large living area, vaulted ceilings and access to beautiful landscaped gardens. 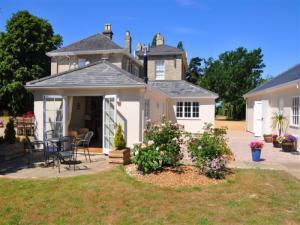 Within easy reach of many attractive locations in Norfolk and Suffolk this property has everything needed for a delightful holiday.